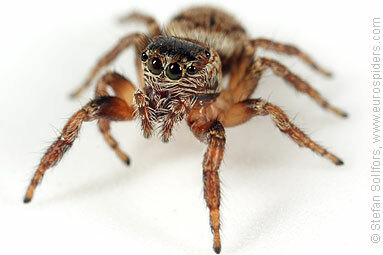 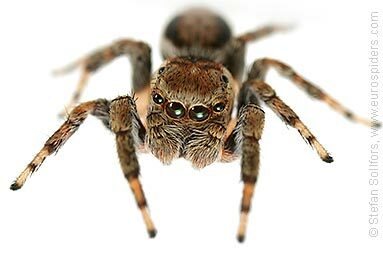 Female Evarcha falcata spider. 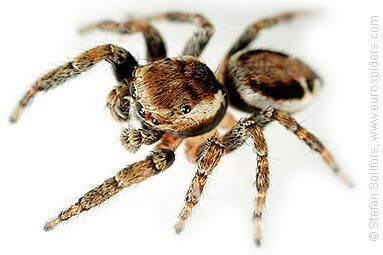 This specimen looks a lot like E. Arcuata. 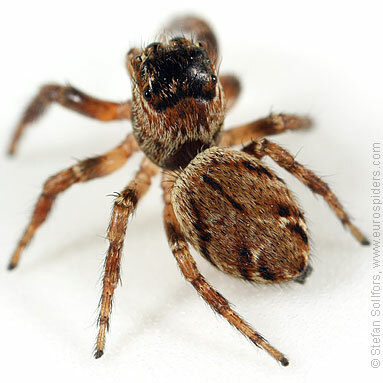 Male Evarcha falcata spider from above. 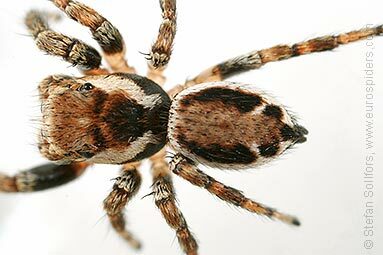 Male Evarcha falcata spider, head-on view. 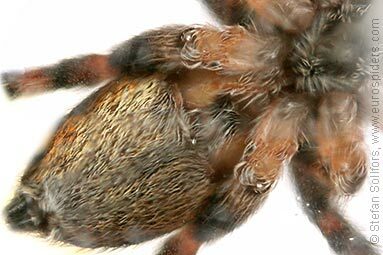 Female Evarcha falcata spider, head-on view. 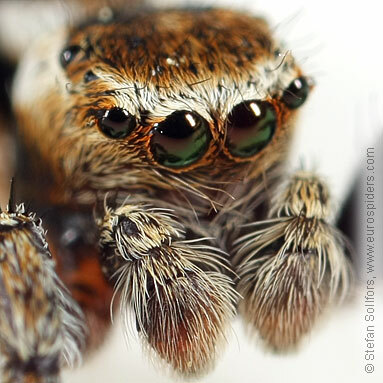 Male Evarcha falcata, close-up of eyes and palps. 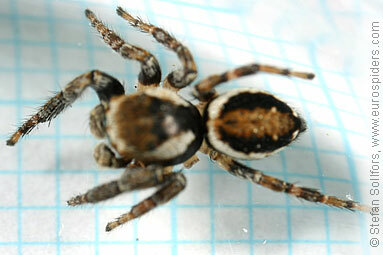 Male Evarcha falcata spider, side view. 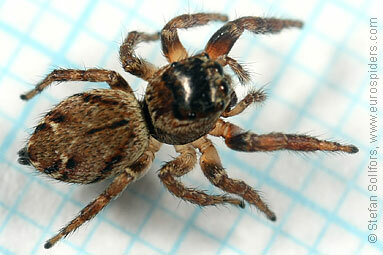 Male Evarcha falcata spider, from below. 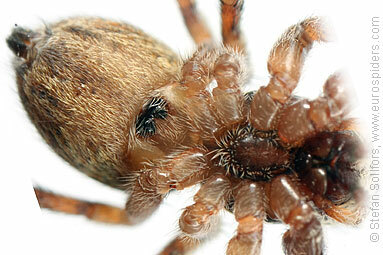 Female Evarcha falcata spider, from below. 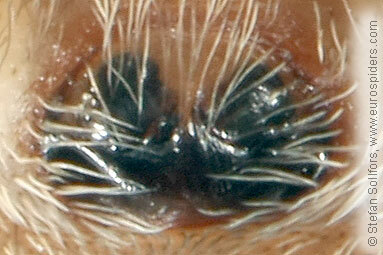 Female Evarcha falcata spider, close-up of epigyne. 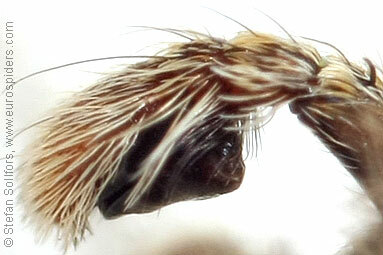 Palp of a male Evarcha falcata. 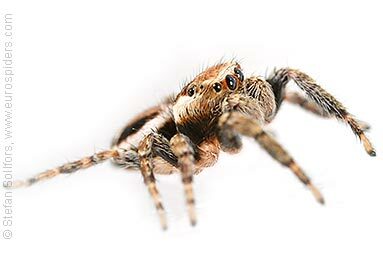 Male Evarcha falcata from below. 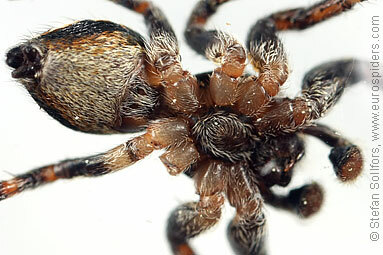 Male Evarcha, about 5,5 mm. 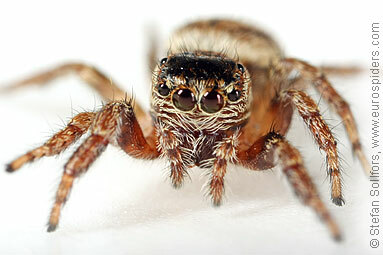 Female Evarcha, almost 6 mm. 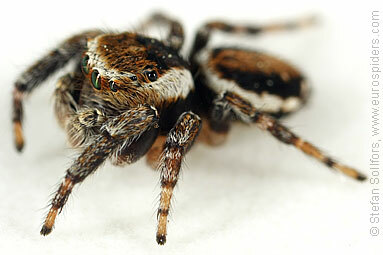 Evarcha falcata, a colourful jumping spider.